Most of the people I work with, at some point, consider hosting a retreat. You know, get everyone out of town so they can focus on getting some real work done. I have some thoughts on running retreats, having hosted a number and attended some too, but my colleague Tova Payne (pictured here) has released a new 12 step course called Build Your Own Retreat and so I thought I’d do a blog interview with her about her thoughts on the matter because there are a lot of places that it can go wrong. Note: all of the links for this program are affiliate links which means I am paid something if you sign up for his program. If that sits funny with you or feels off for any reason but you’d still like to check it out, you can do that here and nothing will be tracked back to me. Why did you come up with this? And why are you credible to speak on it? I’ve hosted my own retreats since 2007. You see since 2001 I’ve been a big time traveller: from going solo-backpacking in Central America – boarding a plane to Costa Rica without an ounce of Spanish on my tongue to hitchhiking across Canada, to travelling across the USA. Travel has been a profound healer: helping me discover freedom, while deepening my understanding of the world and myself. Then in 2005 when Yoga came into my life, it had the same effect: creating a sense of inner freedom and deepening my connection to the world around me and within myself. I saw yoga and travel as divine partners in helping people feel free, connect, and get away from the everyday to gain a wider perspective on what they want in life and how to live with deeper fulfillment. So in 2007 I decided to start Adventure Yoga – my first business: pairing adventure travel with yoga on weekend retreats. I’ll tell you: I’m a person who jumps into things, and things always worked out fine….but had I known what I wish I’d known at my first retreat, things would have been smoother! You know, just little details that you may not think of…..like the weather not always being on your side especially in rainy British Columbia! It’s all the little details that make up a retreat…Anyways, despite my shortcomings on that first retreat, I learned a lot, and continued to host retreats every summer for the next few years, each time learning more and refining my retreat plans. There came a point where I helped another yoga studio organize and set up their retreat, and then I found myself helping colleagues with their retreats! Then in 2013 it hit me – what if this knowledge that I’d accumulated over years of hosting and helping others host retreats was something that other holistic entrepreneurs needed and wanted to know? So I did a little survey out of sheer curiosity, and the response was overwhelming. I took that as my cue and started mapping out a course that would give a comprehensive, detailed step-by-step plan to help holistic entrepreneurs plan and host their own retreat with confidence. What’s the difference between a retreat and a seminar or workshop? A retreat is set up in such that there are a few seminars or workshops within the context of the retreat. The difference is the immersion-quality: that a relatively small number of people come together in an intense experience. Basically living together for a weekend or a week (or even more!) and through this kind of intensive experience, often great friendships and alliances are formed: something that often does not get to happen within the short time of a 3-hour or even day-long workshop. Retreats tend to be more experiential–often focusing on hands-on activities versus a traditional seminar or workshop, which could be more of a ‘sit and listen’ type of event. Plus–retreats have a magical ability to bring people together due to the environment. Since retreats tend to happen at gorgeous, relaxing locations, it creates a much deeper inner change, and profound relaxation, even if it’s just for a weekend! Plus, during a retreat there is time to integrate the information that’s taught and be around other like-minded people to talk further and have support around you beyond what a typical workshop allows for. I just want to add that some people host a one-day urban retreat which is sort of like a long-workshop, the difference is likely the setting: people who do this likely take their guests out to a serene location, and that kind of experience also has a deeper impact than a regular workshop or seminar. Why should people not host a retreat? You should not host a retreat if you’re just in it for the money. That may be my bias: I don’t think you should do anything if you’re just in it for the money – especially when it comes to something like a retreat. A retreat is a heart-centered experience: so first of all your heart needs to be in it– wanting to make a great impact with the tools that you share. Besides – the planning for a retreat is a lot of work. Likely the toughest part is the planning and marketing of the retreat, so if your heart’s not in it, it won’t be worth the work. I also think you should not host a retreat if you’ve either: never travelled/never taught a group or never been in this kind of experience yourself. Some people like to travel, but this kind of travel is work travel. Which means, it is fun, and in a way it feels like vacation – but it’s not the same as vacation. You are there to support a group of people, and you need to make sure that you have the energy and desire to host a group of people. Also – you’re teaching within the context of a group, so you need to make sure that you have the confidence and experience to teach in that way. Teaching to a group is different than teaching or coaching one-on-one, so you should be aware of that, and I do recommend that you have some experience teaching or leading a group so that you can proceed with confidence. Even if you’re experience is teaching a one-hour group yoga class, or a 1-hour group presentation: I’d say that’s enough to know how you feel about working within the context of a group. What are the top three downsides? Downside #1 – Recognizing that it’s all on you: What I mean is: you’re not just the teacher or coach sharing knowledge like you would in your business. All of a sudden you become everything else: making sure that people are paired up with a good fit for accommodations, making sure that meals fit to everybody’s dietary needs, making sure people are comfortable. If anything goes wrong: if anyone shows up late, those kinds of things will be on your mind. So you need to make sure to have clear structures in place, clear terms and conditions and expectations, and be prepared for the unexpected. Downside #2 – Marketing a retreat: Marketing a retreat is not the same as marketing the rest of your services. Often clients who love your digital programs, and local work may not have the financial or time-freedom to invest in a retreat. It’s important to understand that the ideal client for a retreat can be very different than your typical ideal client. It’s like all of a sudden there’s a new niche of people you’re marketing to, and you need to understand this and be really clear about this. Downside #3 – It takes a lot of energy: Again, I’ve found the energy output is in all the details leading up to the retreat, and that the actual event tends to be the funnest part! But do recognize, that leading up to the retreat there is a lot to organize and be responsible for. Especially when it comes to those minor details, of waivers, clear terms and conditions, and being mindful of anyone who’s attending from out-of-country – make sure they are responsible to have all necessary medical and travel insurance and anything else they may need. Actually that’s the wonderful part about retreats: you truly are reaching for a global market! Why would someone want to host a retreat? Because retreats are one of the most transformative experiences you can give to someone. Retreats are the types of events people hold in their hearts and memories for a lifetime. I’ve been on retreats that have changed my life, and to this day – people I’ve met are still good friends! If you’re a heart-centered entrepreneur who wants to make a major impact on transforming people’s lives, and teaching and sharing information in a way that will lead to massive-change: a retreat is THE place to do it. 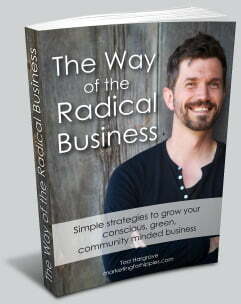 Plus, the truth is, if you get the right number of attendees, retreats are extremely profitable. It’s a way to add a stream of income into your business that gives you a big return in a short amount of time. But again – the best reason to host a retreat is a desire to share your gifts and teachings with others in an environment that’s set up to create profound change. And retreats – by virtue of being a getaway from the everyday naturally do that. That’s why I say retreats are magical! What are the top three upsides? What are the top three mistakes people make when hosting a retreat? Mistake #1 – Aiming too high in the numbers. I’ve seen this one too many times. I remember a colleague who asked me to help with their retreat. They told me they were aiming for 50 people. I instantly said “Without sounding too rude, what makes you think you can get 50 people?” (I was honestly curious!) And their response was that they had attended a retreat with that many people, so figured it couldn’t be that hard! Well let me tell you – it is! Anybody who hosts a retreat with 50+ people have a massive following, and a wait-list of people waiting for their next retreat. Honestly – this is the biggest mistake I see, assuming that just because you saw someone else get 20-50 people that it will be a no-brainer for you to even get 15! So, the business mantra of “start small” is very true when it comes to retreats. Mistake #2 – Booking the first facility they lay their eyes on. Most people who book their first retreat (and likely their first anything in business) are very excited. And it’s good to be excited. But don’t be naïve or fall for the first place you see. I’ve been naïve in the past, so I’m also talking from experience! Know that retreat facilities, and really – any facility you rent is in the real-estate industry: they want to sell their space to you. So know that they will sway you to put down a deposit. My suggestion is to scope out a few places, and get the best deal you can: I mean the best deal when it comes to how much money you put down to hold the retreat space. Mistake #3 – Not marketing hard enough. Many people will post their retreat on their website, and perhaps make a small notice on social media. Well, for most people that won’t cut it. You need to leverage as many outlets as you can. I recommend writing people individually, and reaching out to your network. And be so excited by your retreat that you can’t help but tell everyone you meet. Look – my first retreat I had no official marketing knowledge but I was so excited I told everybody, and that was enough to fill my first retreat. So don’t forget: despite the awesome capabilities of the internet–word of mouth and person to person is an important marketing tool, Yes- use the internet too, but don’t forget about the power of personal relationships. What are three simple things people can do to make their next/first retreat a success? Simple Thing #1 – Get really clear on what your retreat is about. The power of focus is super important when it comes to retreats. The last thing you want is to overwhelm your participants and if you’re not focused, it will come out in your marketing: leaving people confused about what your retreat is even about! Simple Thing #2 – Start your planning early. After all your planning will take the most time. So – get clear on your schedule, what your workshops or activities will be about, and start spreading the word early. Simple Thing #3 – Be fully present on your retreat. Make sure that you’re not procrastinating things at the last minute, and that you’re well rested before the retreat so that you can give your participants your 100% That can include little things: like get to your destination a day or two before participants arrive so that you’ve had some much needed downtime before you’re expected to be fully-on for the duration of your retreat experience. Plus it’s more fun that way! Can you share a success and a failure story from the retreat world? Well, for a success, my first retreat, I’d call it a success. I’m not kidding when I say I had zero business knowledge at the time. I didn’t know anything about marketing. I just made a poster on word (yup – using Times New Roman!) and put the retreat up on my website, and told students after my local classes that I was hosting a retreat. There was no e-mail marketing campaign (I didn’t even know that existed back then) and no social media or press or formal advertising. But I leveraged my real life relationships and told everyone I knew about it and got 10 people to attend my first retreat. I can tell you from experience – that getting 10 people is actually quite good. A failure I’ve seen is lack of promoting, which ends up in a phenomenal retreat that needs to be canceled. I know an incredible retreat teacher who does not follow up with people, and doesn’t do any promotion asides for having her retreat on her website and advertising a listing for it. And sadly this has led to many canceled retreats. If you sit back and say, “Whatever destiny wants – so be it” I’m sorry to say that has a low probability of working out. You need to, at the very least, follow up with every lead, and make sure that there is an easy direct way to pay for your retreat. If you make things complicated, like people having to call in with their credit card, or things like that, you’re basically turning business away. Make everything easy and clear for prospects, and think about their experience every step of the way. Plus–take an active approach to marketing, and follow up with every person who shows interest in your retreat! Want to learn more from Tova? 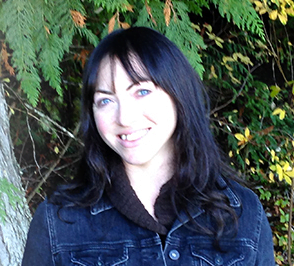 Tova’s a writer, teacher and consultant based out of Vancouver BC and is the creator of The Build Your Own Retreat™ digital home-study course.